The IP44.de Yo Poller is far more than just a simple bollard light. It is a highly visible symbol. The light source penned by Klaus Nolting owes this to its characteristic shape. The cast aluminium body almost monolithically raises upwards and splits up at the top. This way, the Yo Poller takes on the shape of an approx. 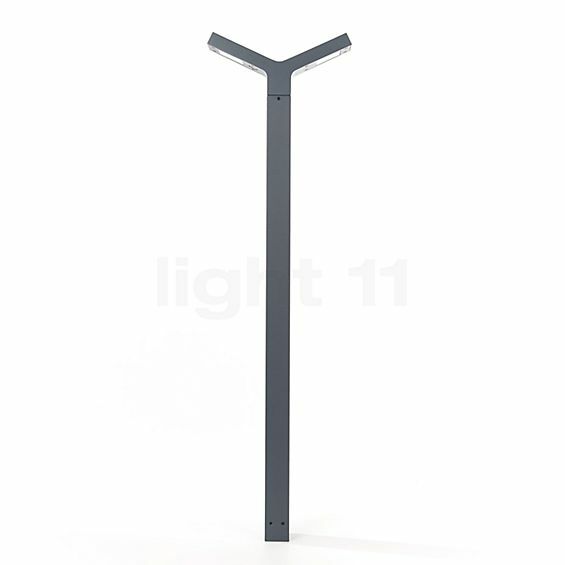 85 cm high letter Y, which enriches the outdoor area of each property with its clear and minimalist appearance. In order to make sure that the bollard light from the German light manufacturer IP44.de discreetly and tastefully matches with any environment, it is offered in anthracite and cool brown. The Yo Poller light was designed by Klaus Nolting in 2016 for IP44.de. The shape of this bollard light strongly resembles that of the letter y. High-quality opal glass smoothens the light emitted from both sides of the bollard light. The two effective LED modules in the branches of the light head of the IP44.de Yo Poller emit their light directly downwards. This means that the bollard light ensures an extensive illumination of paths and driveways. Here, its LEDs impress by the IvyLight technology. It stands for a holistic colour, temperature and chip management of the electronic components. This way, the lights from IP44.de are very reliable and practically maintenance-free over a very long period of time. This is also reflected in the service life of the LEDs: the light-emitting diodes of the Yo Poller have a service life of up to 50,000 hours, which corresponds to 45 years, based on a daily operating time of three hours. Moreover, they are very energy-efficient. For a luminous flux of 750 lumens the bollard light only requires 12 watts. This means that it shines brighter than a 60 W incandescent lamp and thereby saves power and reduces the impact on the environment Thanks to protection type IP65, the Yo Poller light is also prepared to withstand adverse weather conditions. According to this labelling, it is dust-proof and protected against water jets coming from any direction. Tell other customers and us about your experiences with the Yo Poller ! The IP44.de Yo Poller is ideally suited for illuminating driveways. 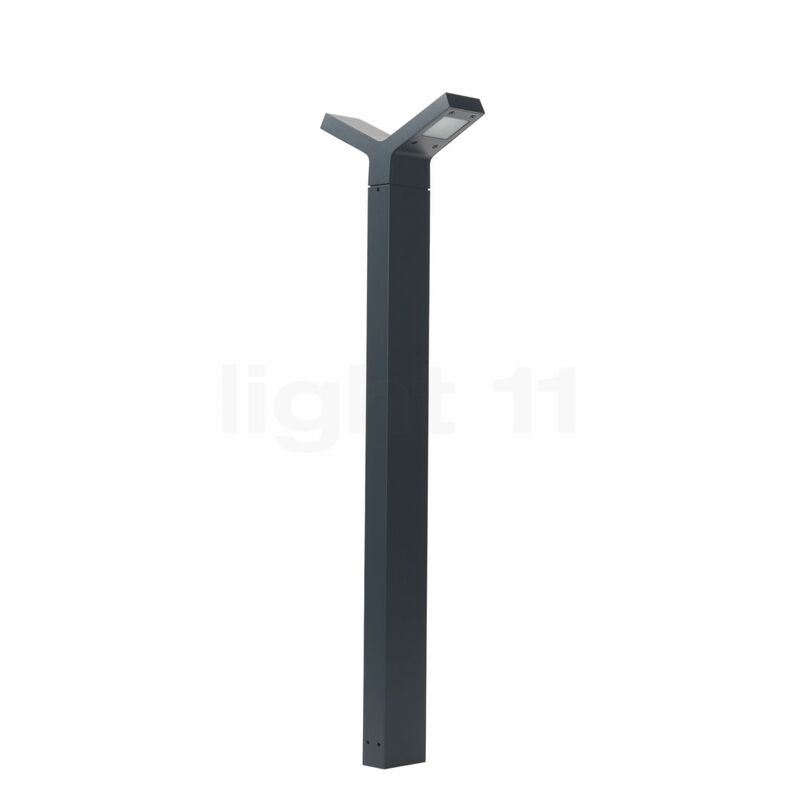 Moreover, the bollard lamp covers a large radius due to the two-sided light emission and thereby ensures a high level of security. This means that you are able to see your son’s skateboard in the garage even when it is dark so that you will probably not drive over it with your car. However, the bollard light from IP44.de also turns out to be extraordinarily useful in the area of the house entrance. Additionally, the warm-white light makes it easy to find the right key as well as the corresponding keyhole. Furthermore, the Yo Poller is a suitable lighting solution for paths in the garden that makes visible any tripping hazard.